Speed Camera Details: Located north/eastbound, at the junction with Princess Way (towards St. Davids Square and the Quadrant Shopping Centre), just before Victoria Road (A4067). Traffic light camera on left-hand side of road, between slip road and bus lane to the left and main road. View all Welsh speed cameras here. Red Light cameras such as the Gatsometer camera pictured right, can be used exclusively to trigger when a vehicle goes through on a red light at traffic lights. However, some can also be used to photo and record speeding motorists as well. 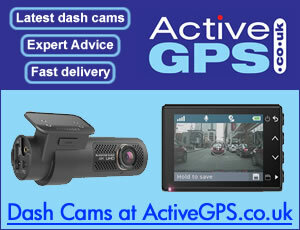 GoSafe (GanBwyll) is the UK's largest safety camera partnership and covers all of the roads in Wales. The aim of GoSafe is to make people safer on Welsh roads by reducing casualties and saving lives. GoSafe is made up of 28 partners including four Welsh Police Forces. Read more.